to the 2012 Republican National Convention in Tampa, Florida. 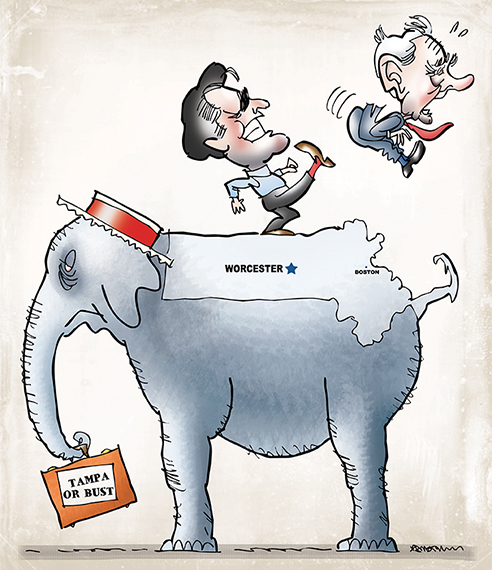 Caricatures: Republican presidential candidates Mitt Romney and Ron Paul. You can read more about the assignment and the controversy in this post.